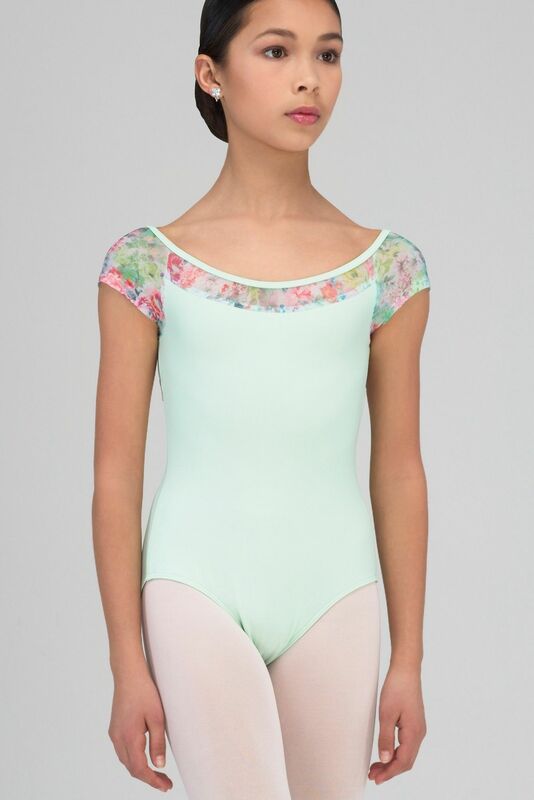 Light and fresh, this ethereal cap sleeve leotard, with soft floral micromesh detail and mesh panel on back, will charm any dancer. 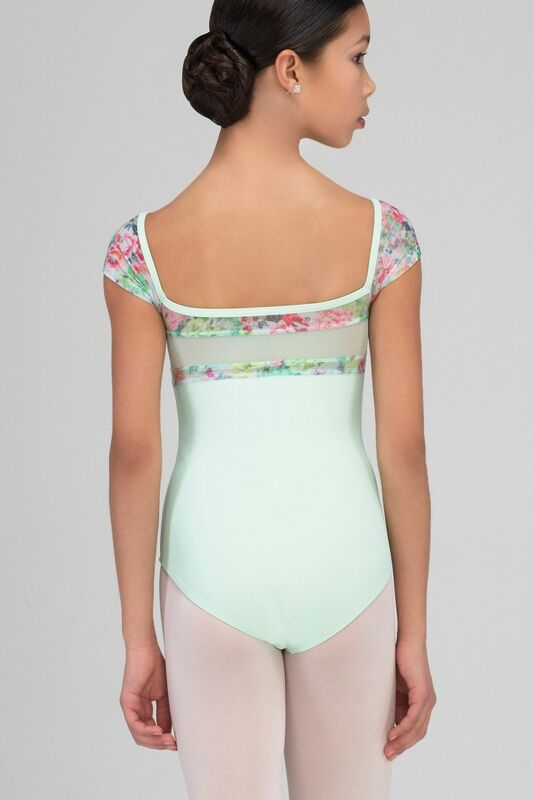 Beautiful design and soft feel of the materials provide great comfort. Fully front lining.